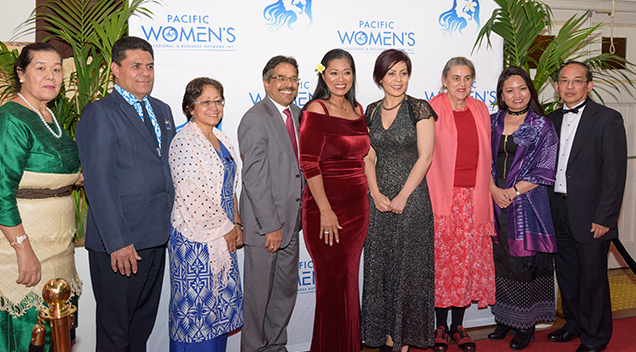 Featured Event Of The Week: Pacific Women’s Professional and Business Network Inc. 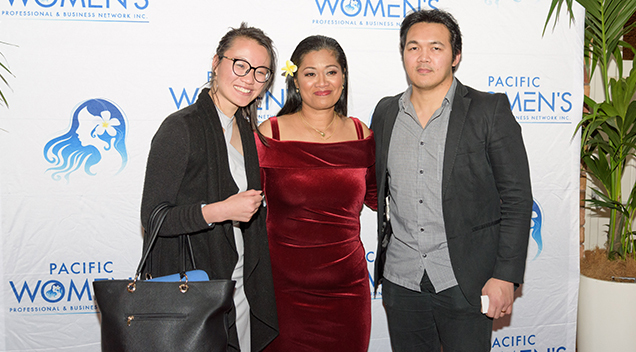 There was a magnetic sense of oceanic pride radiating all around Ku-ring-gai Town Hall last Saturday, 19th August and there was a big reason why – because it was the official launch of the Pacific Women’s Professional and Business Network. The network in all its entirety is a great source of enlightenment for all the young, Pacific women who are aspiring to do something great within their communities and beyond. 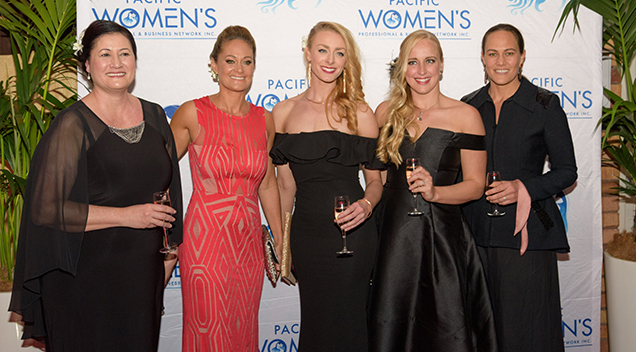 PWPBN (Pacific Women’s Professional and Business Network) is a community of like-minded professional and business women unified to share, empower and inspire. The members have a mutual interest in the issues that affect Pacific working women in NSW, Australia and around the world. 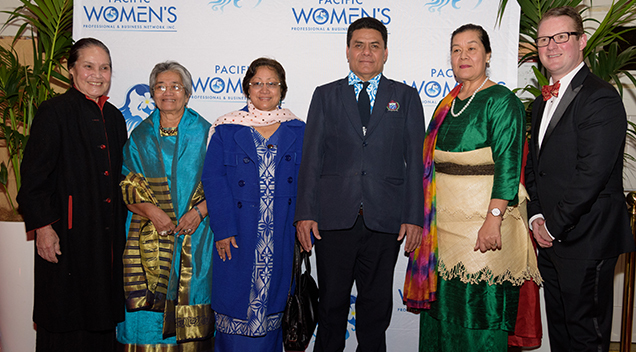 They strive to encourage and support Pacific women to develop their professional, personal and leadership potential, undertake lifelong education and training and use their abilities for the benefit of others locally, nationally and internationally. 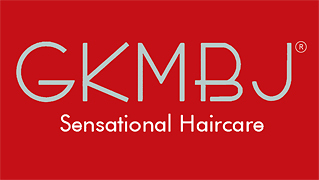 It’s a great platform that connects young Pacific women to like-minded Pacific Islander women who are established in the field of business, academic, and entertainment. 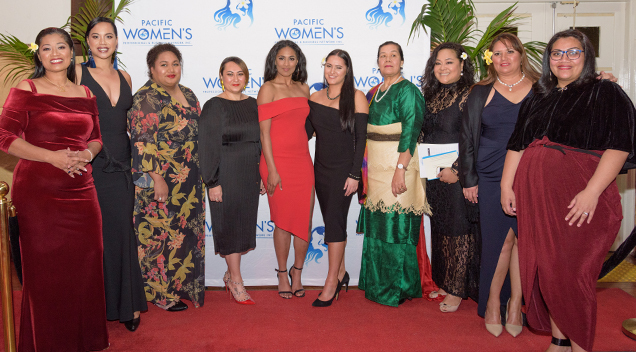 Prominent Pacific women such as Associate Professor Katerina Teaiwa, Selena Short the CEO of NeV Australia (UFC Gym, Crunch Fitness, Hard Candy Fitness and barre3), and Chairperson & Oceania Woman Production Director – Donina Va’a are just some examples of its high profile members so it’s quite evident that this group means business. According to Donina Va’a, the Lead Executive of PWPBN, the networking group is intended to be the frontier of innovation in working towards empowering and inspiring Pacific women to become more involved in culturally sensitive opportunities as well as leadership building activities. Amongst the excitement, there was an eclectic mix of cheeses and crackers and some delectable traditional delicacies waiting for its guests. The immaculate banquet laid there in solitude bliss for a brief moment, until a flock of happy event-goers started trying out the mouth-watering delicacies. The guest speakers opened up the event with messages of inspiration, faith, hope and empowerment of what it is like being an oceanic woman in Australia. 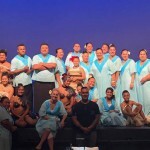 Each speaker touched on what it’s like to be an Oceanic/ Pacific woman—although, different perspectives were presented on the stage that night, there was an underlying voice of suffering and grief that resonated with some of the speakers. 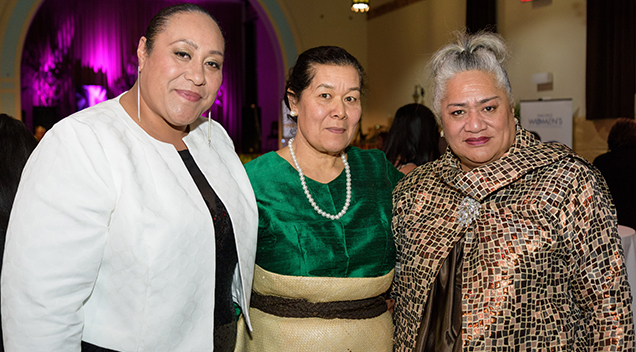 A beautiful moment during this event was when Associate Professor Katerina Teaiwa reminded the audience about the importance of Pacific women looking after themselves as well as looking after each other. 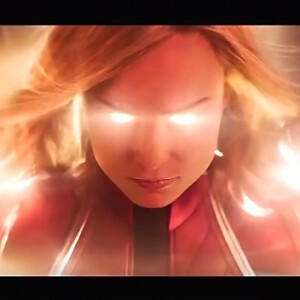 The most heart breaking moment when she shared her ongoing grief over her sister who died of earlier this year at age 48 years old. 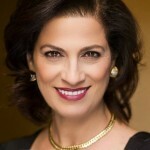 Donina Va’a, one of the organizers of the network bestowed her poetic wisdom through her faith in God. 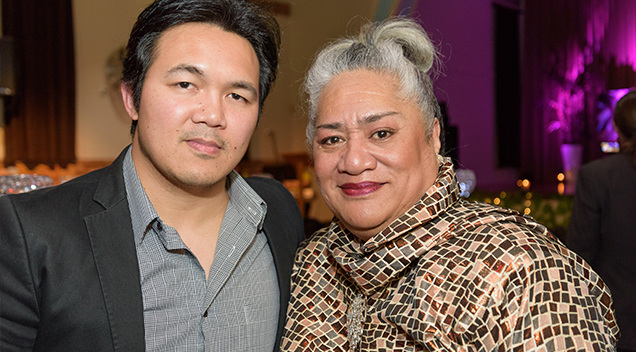 Nina explained what defines an Oceanic woman— a woman who has God given talents and who strives to be role models to the generation of young Pacific women to become leaders in business and other fields of interests. 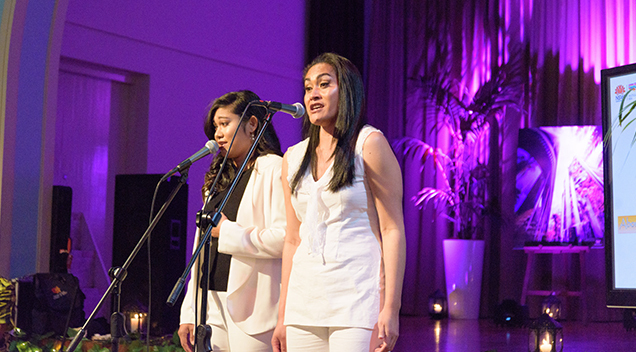 Aside from inspirational speakers, there was an abundance of musical talents such as the presence of two incredible singers with angelic voices called the Oceanic Women. They belted out amazing high notes that made the audience swoon and gasp for breath. It was a beautiful transition into intermissions which left a memorable imprint on the hearts and minds of the guests present that night. The last speaker was Maestro Inglese Ete, a special guest who just happens to be the executive musical composer for Moana and who has worked with high profile celebrities such as Dwayne Johnson A.K.A the Rock. 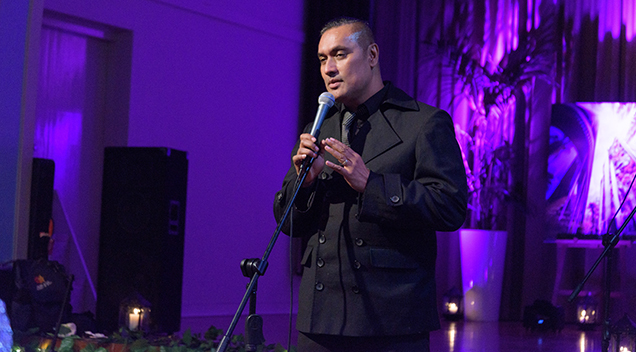 He revealed how scarce the media representation is, regarding Pacific Islanders and Polynesians in the entertainment industry. 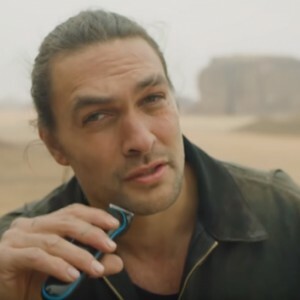 He further explained that Hollywood movies tend to have a sweeping generalization when it comes to Pacific Islanders. His mission is to bring about an accurate representation of Oceanic music through the composition of music. All in all in was a fantastic and powerful event. We’d like to thank Nina Va’a and the executive team of Pacific Women’s Professional and Business Network for graciously inviting us the official launch if PWPBN. It was definitely a night to remember. 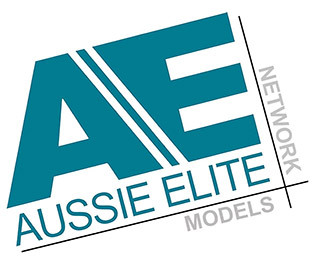 Brace Yourself, Australia: Mrs., Miss & Miss Teen Australia International Is Set To Hit Sydney In 3 Weeks!